Unsung Story is a tactical role-playing game based on the original designs of the legendary Yasumi Matsuno. 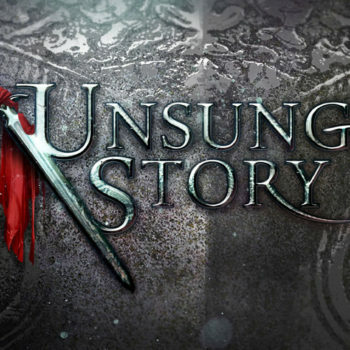 Unsung Story is a spiritual successor to the cult-classic Final Fantasy Tactics, and aims to deliver more of what players loved from that game. Deep Character Customisation – Each of the player’s characters can be any one of 20 classes, equipping abilities from any of the other classes to create an army of totally unique heroes. Challenging, Strategic Combat – Utilising an innovative “triangle grid”, Unsung Story challenges players with overwhelming odds and unique tactical challenges. An Original Narrative – Set at the peak of a world-ending 77-Year War, Unsung Story follows a group of heroes as they travel back through time to uncover the source of this terrible conflict. Coming to PlayStation 4, Xbox One, Nintendo Switch and Windows in Q4 2019. 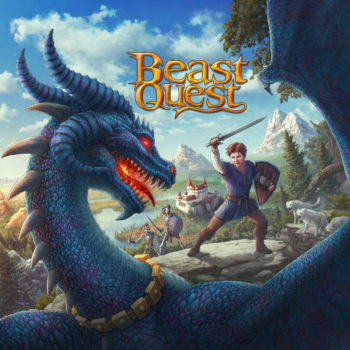 Based on the best-selling fantasy novels, Beast Quest is an epic real-time RPG that follows the adventures of Tom, a young boy tasked with travelling the kingdom of Avantia and saving the legendary beasts that dwell within. An Epic Journey – Follow Tom as his journey takes him all across Avantia, from misty forests to ice-capped peaks and the barren northern wastelands. Engaging, Tactical Combat – Beast Quest utilises a unique location-based combat system, where positioning is just as important as timing. Players will need to ensure their blade is as sharp as their wit if they want to succeed on their quest. An Engaging Narrative – Follow the tales told in the famous Beast Quest novels as we follow Tom, Aduro and Elenna while they battle the evil wizard Malvel and aim to free the legendary Beasts of Avantia! Out now for PlayStation 4, Xbox One and PC! 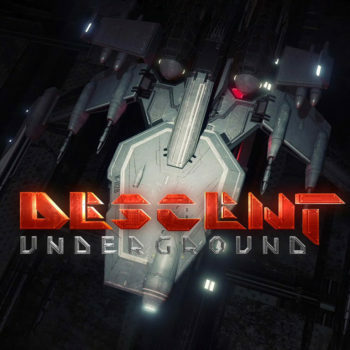 Descent: Underground is a reimagining of the beloved 1994 classic. Players will pilot high-tech ships as they fight each other over uncontrolled mining colonies in space. The Earth is dying, and you’re it’s last hope — assuming your piloting skills are up to scratch. Exciting 360-Degree Combat – Pilot your personally-customised ship as you battle other players for dominance. Set traps to snare enemy ships, tunnel through walls to flank your enemies and work with your team to ensure you come out on top. Intense Multiplayer Combat – Prove that you’re the best there is by pitting your skills against other pilots in several game modes, such as Anarchy (a classic deathmatch mode) or Corporate War (be the first team to harvest a large amount of resources). Leaderboards and multiplayer rankings will keep players coming back for more! Single-Player and Cooperative Modes – A puzzle-focused single-player campaign exists as a precursor to the full multiplayer experience. Conquer these challenges alone, or bring a friend to tackle bonus objectives in co-op. Coming to PlayStation 4, Xbox One and Windows. Ben 10 takes players on an action-packed adventure through 3 separate episodes of the Ben 10 universe. 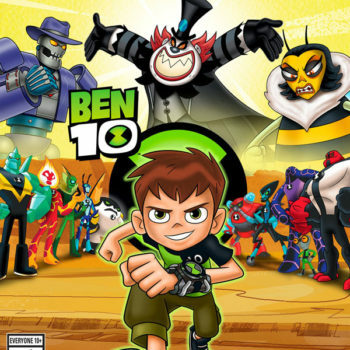 Play as Ben as he utilises the Omnitrix – a watch that allows him to transform into 10 different aliens – as he journeys with his cousin Gwen and Grandpa Max. On their cross-country roadtrip, they’ll battle giant robots, a homicidal TV hostess and — of course — evil clowns. Unlimited amount of achievements, trophies, hidden room and objects to collect.